Sanct Valentin Pinot Grigio was born in 1986. The first grape choices were made in selected vineyards in Eppan / Berg. The Pinot gris was vinified for the first time in small wooden barrels. With the smooth integrated acidity, strength and fullness, the expressive Sanct Valentin Pinot Grigio has been well received for ten years. It is one of the most award-winning Pinot Gris wines of Italy and can be very elderly. The 2015 Alto Adige Pinot Grigio Sanct Valentin shows a distinct personality that prizes freshness, crispness and an attractive layer of aromatic abundance. In fact, the bouquet is far more complex and intense compared to your standard Italian Pinot Grigio. 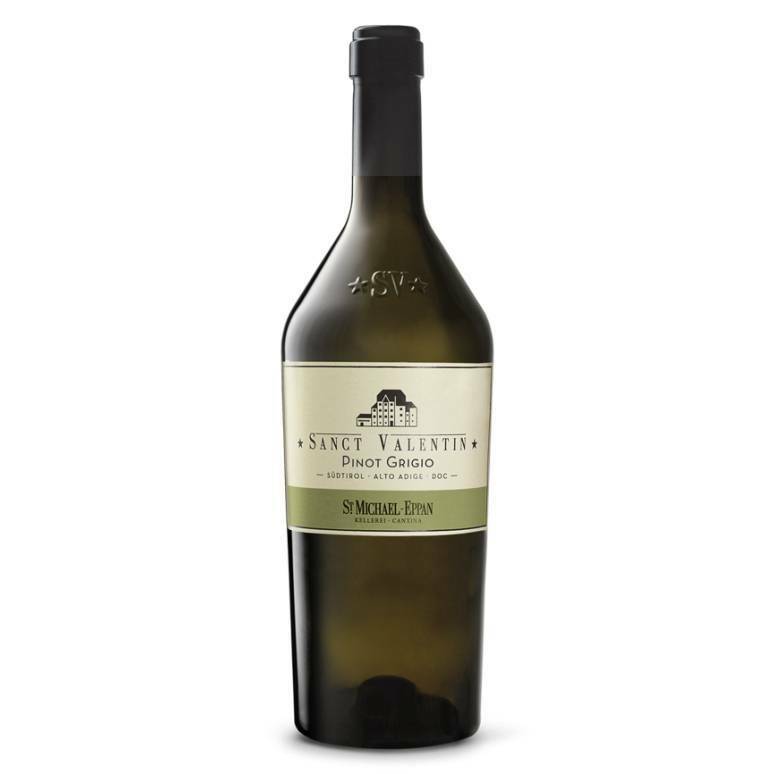 This wine is expressive and articulate, with citrus, passion fruit, honey and apple. Drink this wine within the next few years when its primary aromas are still intact.